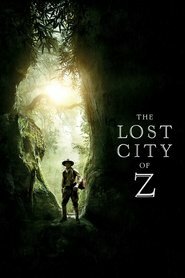 At the dawn of the 20th century, British explorer Percy Fawcett journeys into the Amazon, where he discovers evidence of a previously unknown, advanced civilisation that may have once inhabited the region. Despite being ridiculed by the scientific establishment, which views indigenous populations as savages, the determined Fawcett, supported by his devoted wife, son, and aide-de-camp, returns to his beloved jungle in an attempt to prove his case. An interesting story about an interesting man who sacrificed everything for his obsession. The cinematography and acting are good and the indigenous people are excellent. But it is way too long. Rather than feeling exciting and engaging, it feels more like a plodding telling of the facts. It could have been a lot better than it is.